YoYoInk is a top seller for Remanufactured and Compatible Printer Ink Cartridges. YoYoInk is your one stop shop for all your remanufactured, compatible and recycled printer ink cartridges, drums and toner needs. YoYoInk specializes in providing the highest quality ink cartridges at affordable prices for brands such as Brother, Canon, Dell, Epson, HP, Kodak and Lexmark. YoYoInk has been a popular and reliable source for everyday printing solutions across the nation. With quality, customer service and satisfaction as the company’s core value, YoYoInk backs its printer ink cartridges, toners and drums with a 100% no hassle money back, two year customer satisfaction guarantee. YoYoInk membership, join today. At YoYoInk, we’re always thinking about different ways to make your customer experience much easier and convenient as a consumer. Introducing our exclusive YoYoInk membership for all of our YoYoInk loyalists. 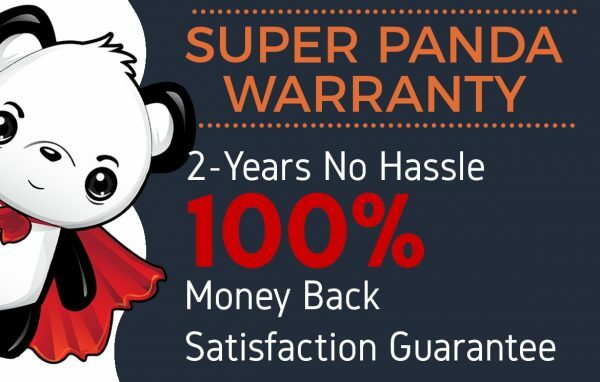 We provide a super panda warranty on all our products, so you feel just as comfortable and confident with our products as we do. We do this all while keeping our environment at the top of our list. As a green company, YoYoInk Inc. makes an honest effort to do it’s part in saving our planet. Check out our Go Green Blog for tips on how you too can help save our environment. 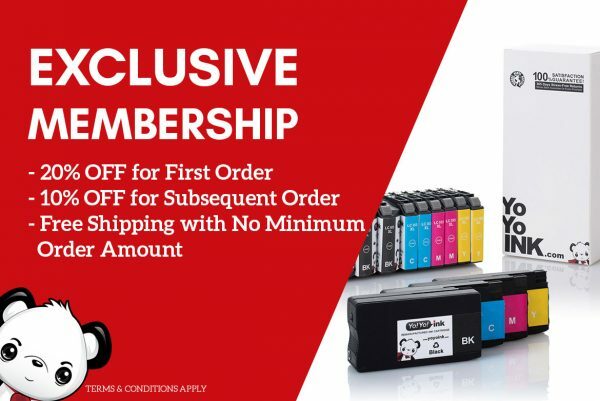 Join our exclusive YoYoInk membership to get special deals when ordering your remanufactured and compatible printer ink cartridges. By joining our exclusive YoYoInk membership, you’ll gain the right to 20% off your first order, and 10% off for the rest of your orders in the future. Yes, that’s a permanent 10% off all products. As a panda member, you will also gain the right to free shipping on ALL your orders, no matter the price, your shipping is free. At YoYoInk, we are so confident in the product that we provide, we offer a 2 year, 100% customer satisfaction guarantee on all your orders. If you are not 100% satisfied with your remanufactured and compatible printer ink cartridges, drums and toners return them and get your money back.